Use caution during storage, handling, and administration. Consult physician immediately if human exposure to vaccine occurs by accidently injection, ingestion, or otherwise through the conjunctiva or broken skin. 2nd dose 4 weeks after 1st dose. 2nd dose 4-6 weeks after 1st dose. Stallions and teasers: Vaccinate 2-4 weeks before breeding season. Mares: Vaccinate when open. 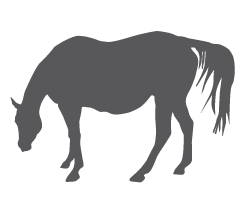 Single dose Prior to initial vaccination, intact males and any horses potentially intended for export should undergo serologic testing and be confirmed negative for antibodies to EAV. Testing should be performed shortly prior to, or preferably at, the time of vaccination. Revaccinate semi-annually to annually Vaccination is not recommended as a strategy in outbreak mitigation. Annually, 4-6 weeks pre-partum It is preferable to vaccinate naive mares when open. Semi-annually with one dose administered 4-6 weeks pre-partum. 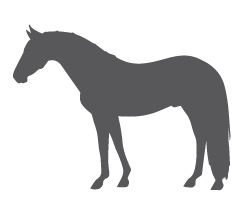 Reference: Vaccinations for Adult Horses developed by the American Association of Equine Practitioners Infectious Disease Committee, 2008 and updated by the AAEP Biological and Therapeutic Agents Committee in 2012 and again updated by an AAEP Vaccination Guidelines Review Task Force in 2015.